It's a big week for video game launches. Warner Bros and IO is delivering Hitman 2 to the world, Bethesda is launching its multiplayer Fallout 76, Nintendo/The Pokémon Company is putting out the latest duo of Pokémon releases, while Activision is resurrecting Spyro. 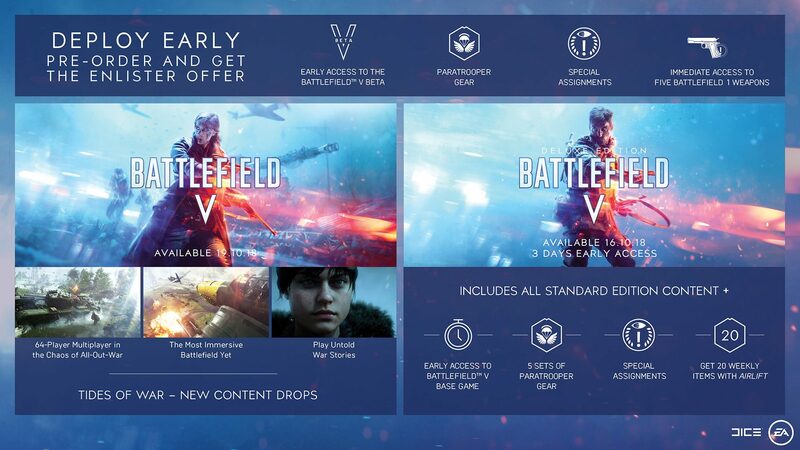 That might sound like more than enough AAA launches for one seven-day period, but there's actually another - EA's Battlefield V.
The shooter is officially scheduled for next week - Tuesday, November 20th - but if you buy the Deluxe version of the game (either digitally or via selected physical retailers) you can play the game today. That's assuming, of course, you are not part of the EA Access service. In which case, you were probably playing the game last week. This is a new trend in video games. Shadow of the Tomb Raider, Forza Horizon 4, Assassin's Creed Odyssey, Hitman 2, FIFA 19 and NBA 2K19 are all games released in the last two months that had two release dates - one for the more expensive special edition, and another for the standard version. It's not a new concept. PC MMOs in particular have done this for many years, and in 2014 Activision tried a similar thing with the 'Day Zero' edition of Call of Duty: Advanced Warfare. In an effort to bolster pre-orders for a game that was struggling for momentum, Activision offered to give fans access to it a whole 24-hours earlier if they pre-ordered the game. Back then, it was a bit of a mess. Not everyone picked up the Day Zero editions they had pre-ordered, so physical retailers put spare copies on shelves straight away - even thought it was meant to be for pre-order customers only. The dual launch dates effectively ruined midnight openings (which were still a thing back then), and one retailer told me at the time [the now closed retail chain Chips] "the whole thing was a complete balls up". The market has changed since then. Digital downloading of AAA games has accelerated. Whereas back in 2014, digital downloading accounted for less than 10% of a typical AAA game's sales, today that figure sits at over 30%. The number of midnight launches have reduced and waned as a result. And publishers are no longer as shy about promoting the fact that their games are downloadable via Xbox Live, PSN and eShop (previous concerns about harming the relationship with physical retail stores is becoming less of an issue as time marches on). However, digital has its drawbacks when it comes to selling pricier special editions. Whereas in the physical space publishers could increase revenue by bundling a fancy toy with the game and charging double the price (sometimes even more), that's obviously harder to achieve digitally. Developers and publishers are instead bundling in items that have no physical component - such as a downloadable soundtrack, early access to the Beta or some extra skins or special weapon designs. It's something, but hardly enough to justify a significantly higher selling price. Indeed, some of those 'digital extras' will also be needed to encourage consumers to pre-order the product in the first place (which remains the industry's best tool in gauging how well an upcoming release might sell). Early access is simply another one of these digital incentives designed to encourage fans to pay that little bit extra, and apparently it's proving genuinely effective. Publishers talking to Gamesindustry.biz tell us that their players are willing to pay more to get the game a few days early. "There has been appetite for those experiences to come a little bit earlier. I don't think it's something that we want to see to widespread, because it creates uncertainty in terms of release dates"
These early access deals have been extended to physical retailers, too (at least some of them, much the frustration of those who are not included). 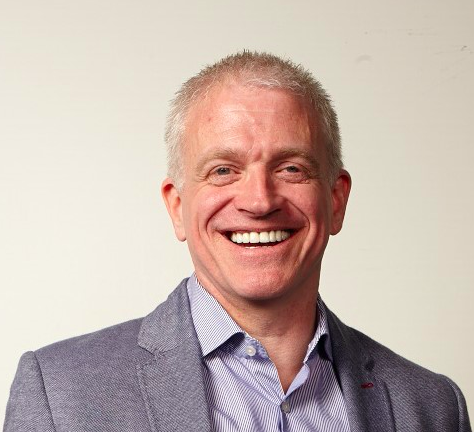 Indeed, UK and Spanish retailer GAME has been selling the early versions of titles such as Hitman 2 and Battlefield V.
"Yes it is [proving effective]," GAME CEO Martyn Gibbs told us. "We are a big part of that. Some of those games have been exclusive to us from a retail perspective and there has been appetite for those experiences to come a little bit earlier. I don't think it's something that we want to see to wide spread, because it creates uncertainty in terms of release dates. But the trials that we have done, and the ones that we've launched so far this year, have worked really well." It seems unlikely Gibbs is going to get it his way when it comes to limiting early access activity . Although it's true that double release dates have their downsides -- GAME, for instance, has Battlefield V listed twice on its release schedule, and what date do you put on the ads? -- if the result is an increase in revenue, you can expect other publishers to follow suit. One mid-sized publisher told us this week that they'd been keeping an eye on it and will "undoubtedly introduce early access versions after our next game. I expect dual release dates will only increase next year." As the industry moves further towards digital, we can expect more experimental digital concepts designed to increase profit. It's a little easier for online multiplayer games-as-a-service titles (Beta access, extra in-game currency and special designs, which highlight you as an early adopter, will be enough for many core fans), but single-player games will need to be more inventive. Early access is one way, but then so is making parts of the game available in advance of release - play the first level today, experience a special toy box mode, get an extra hour in the 2-hour pre-release demo. Some companies that operate esports or community events might want to offer 'early ticket access' in the same way music artists do for their tours. So, for instance, get the special edition of Warcraft 3 and get pre-sale access to BlizzCon tickets. There's certainly plenty of options and as physical retail continues its slowdown, we can expect more and more experimental digital offerings to emerge. At least, until streaming takes over. Microsoft has been doing this for at least the last two years starting with Forza Horizon 3 in 2016 and continuing with Forza 7 the following year. I like it as a concept since they are rewarding fans for shelling out that extra money for the Ultimate editions. But personally I wish they extended this early access period to anyone who preordered ANY version of their games as a way of saying "thank you" for paying in full early.